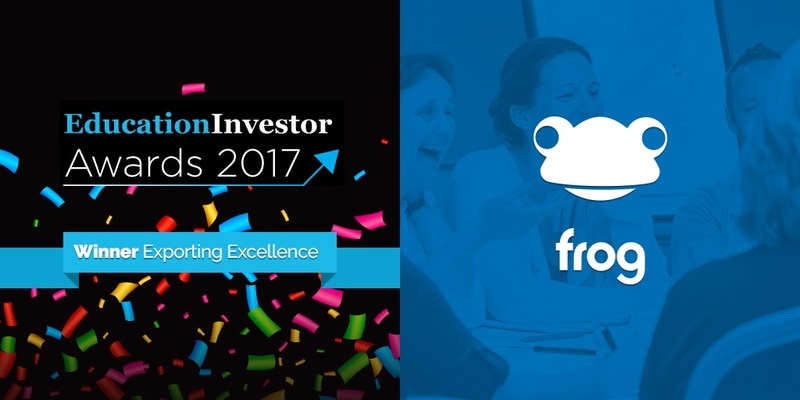 In a testament to the progressive work being done to champion the best of UK education technology, Frog Education has won an Education Investor award, in the category of ‘Exporting Excellence’. This success comes off the back of Frog’s second international nation-wide project win, this time in Denmark together with Denmark’s fastest growing company, NetCompany, to provide what is being nicknamed ‘the Facebook for education’. The Danish project aims to create a revolutionary new platform for over 2 million users, built upon Frog’s development platform, that will provide unparalleled connectivity and communication between stakeholders in education. The success of the Danish contract came after Frog’s contract win in 2014 (and recent subsequent renewal) with the Malaysian Ministry for Education to supply a nationwide cloud-based learning platform. Since then, Frog has sought to take on bold, international projects in order to champion UK education technology in the global edtech market. Not only is this vital in a post-Brexit market, but we want to ensure we are at the forefront of innovation in order to continually provide the best possible classroom technology to our existing UK users, and wider users across the globe. Each move that Frog makes stems from the drive to better serve all our existing users. By building a small customer base and serving it exceptionally well, we hope to attract the attention of international markets and through these progressive,, collaborative projects, cement Frog’s reputation as a national exporter and champion of British edtech. Ultimately, our hope is that these international relationships will help to foster innovation and creativity which, in turn, will help to bolster not only the standing of the UK edtech sector, but British education as a whole. This award win was made entirely possible thanks to our Frog family, an awesome team together with over 14 million users worldwide. Each step forward we take comes from the grassroots up, based off of feedback from users across the globe. This dialogue ensures that the work we do in the international market is always in response to the needs of the schools both at home and abroad, to enhance the education experience worldwide.